These were the words that endlessly drifted through my mind throughout the first few weeks of rehearsal for "Alice & the Black Hole Blues," the production we are performing at the Edinburgh Festival Fringe. I am not an abstract thinker. I like to be handed a script and told exactly what to do and when to have it done by. It was clear from the beginning that this would not be the case with our show. When we were first introduced to the “Word for Word” technique, I was, to say the least, skeptical. I didn’t like that they included every single “he said” or “she said” and all of the narration. It was weird and uncomfortable, but I stuck with it, even if it wasn’t my favorite. JCHS always stresses productive discomfort, and that was my mindset throughout the rehearsal process. It got more difficult when other people started to really get into the groove of the process as I was still catching up, dragging my heels. People would be texting each other at two in the morning with ideas. Meanwhile, I would be fast asleep. Everyone was so enamored of the message of our show and the pop-culture references, and I still wished we were doing a normal play. It didn’t seem like I belonged with the company, and I was just in a slump. Now here’s the part where you’d expect me to tell this amazing story of the moment I fell in love with “Alice and the Black Hole Blues” and no longer felt like an outsider… but really, that never happened. Of course, I had an amazing time during rehearsal, and I loved spending time with everyone involved. We did some fantastic things and we had a great time doing them, I just wasn’t in love with the show like I had been with others in the past. By opening night, I had become numb to the discomfort and oddness of the show, but it was definitely still there. Flash forward to me one week ago, dreading the return to rehearsals, and my return to this unusual show. I hadn’t thought about it in two months, so I knew I was in for a whole bunch of discomfort. I was mentally preparing myself for the same feelings I felt when I first came to rehearsals. I walked in the door, braced myself… but then the strangest thing happened: I no longer felt the weirdness. I was comfortable. I didn’t mind the “he said” or “she said” or the narration. I enjoyed experimenting with the show and working with my best friends. I knew then that the feeling I had experienced after working with the show for months wasn’t numbness, it was growth. I had thought that I had just gotten used to the show, but in reality, I had developed into a person who didn’t have to be handed a script. I had become an abstract(er) thinker. 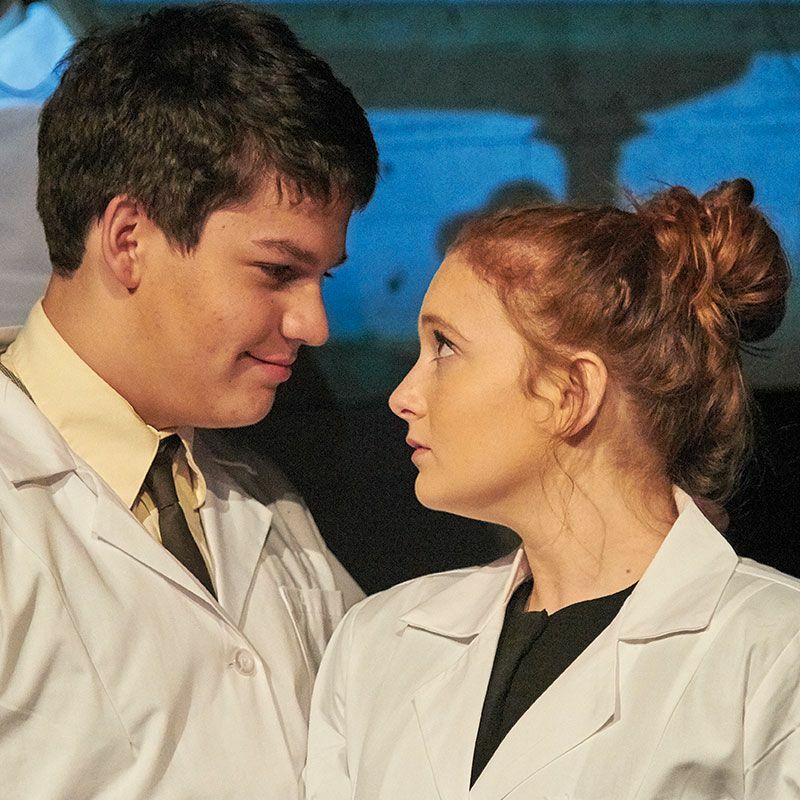 You can see "Alice" in San Francisco on August 6 at 2 pm in the JCHS Performing Arts Theater, and August 14, 16, 17 and 18 at the Edinburgh Festival Fringe.